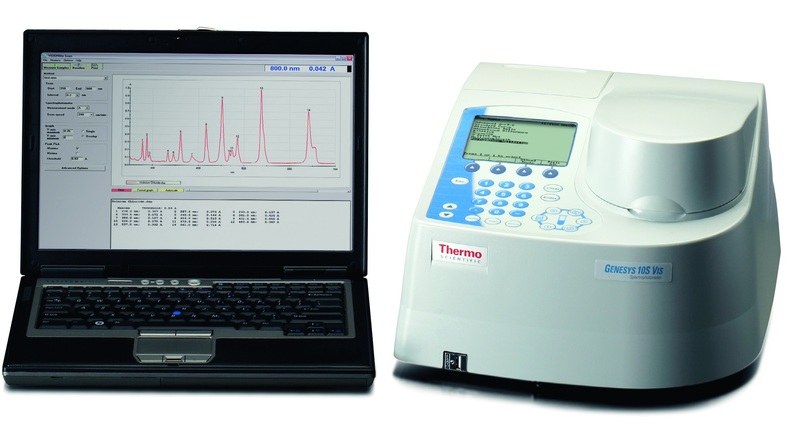 Built on the foundation of over 17,000 Thermo Scientiﬁc GENESYS 10 series instruments sold worldwide and 60 years of experience in spectroscopythe new GENESYS 10S series of spectrophotometers provides exceptional performance at an attractive price. Whether your application is research or routine analysis, educational or industrial, you can count on the GENESYS 10S for accurate and reliable results. Built on the foundation of over 17,000 Thermo Scientiﬁc GENESYS 10 series instruments sold worldwide and 60 years of experience in spectroscopy the new GENESYS 10S series of spectrophotometers provides exceptional performance at an attractive price. Whether your application is research or routine analysis, educational or industrial, you can count on the GENESYS 10S for accurate and reliable results. A high-intensity xenon lamp and dual-beam optical geometry empower the GENESYS 10S UV-Vis spectrophotometer to deliver unsurpassed data quality throughout the entire UV-Visible range. Firing pulses of light only when the instrument is taking a measurement, the xenon lamp provides strong illumination from the UV to the near-IR region of the spectrum.